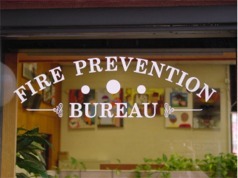 In order to achieve the goal of fire safety within the community, the staff of the Fire Prevention Bureau must work with several other city agencies, such as the Police Department and the Building Department (City Codes etc). The Division office is also where you will find Sparky, the fire prevention mascot. 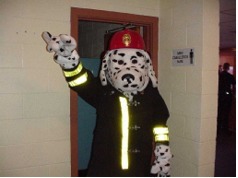 Sparky can be seen at most Fire Department activities. Watch the fire calender for upcoming events. Take a look at Sparky's Escape Checklist and his Escape Plan Grid . Put a plan together with your family and make sure everyone escapes safely. Below you fill find documentation on compliances, rules and regulations, as well as some of the more popular permits for the varied occupancies in the city.